We sorted through the hundreds of amazing entries from talented artists like you, and we chose the five winners! We’re sending them each a MEGA Munny to customize and to be displayed along side some of Kidrobot’s most revered collaborators, at an upcoming MUNNY show this year. 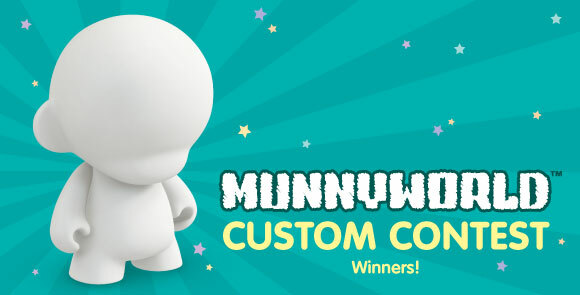 You don’t need an excuse to make a MUNNY. Click here to pick one up at kidrobot.com to start on your next masterpiece!